Canal Music Studios delivers comprehensive music education, taught by professional musicians for aspiring artists considering degrees, careers in music, or anyone looking to explore an instrument for the first time. Classes include: musical instruction on a variety of instruments, music theory, musicianship, performance and recording. Our Spring 2019 calendar of closures and holiday breaks can be found here. We are located in Lambertville, NJ and provide our music lessons to the surrounding areas such as New Hope, Flemington, Washington’s Crossing, Doylestown, Solebury, Ringoes, Stockton, Frenchtown, and the vast majority of Hunterdon and Bucks Counties. 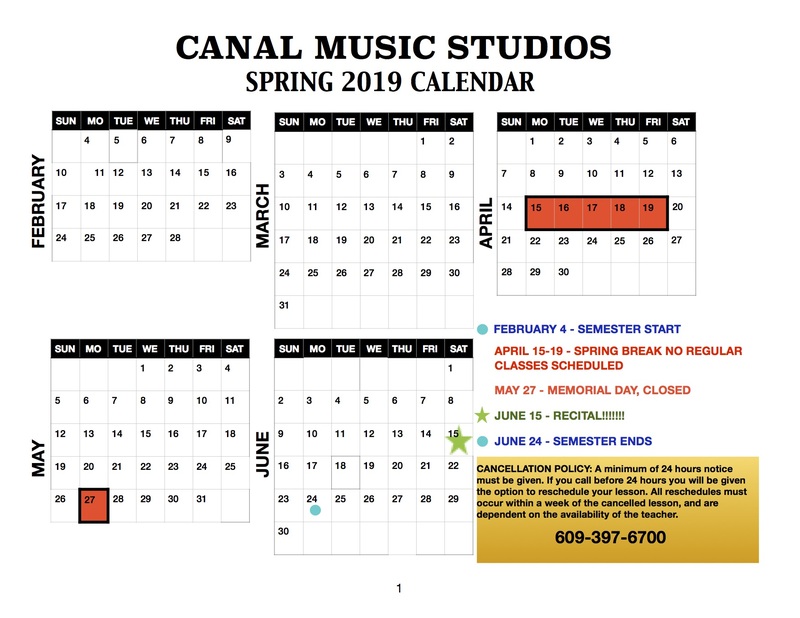 Location: Canal Music Studios is located on the north end of Lambertville, New Jersey at 243 North Union Street in the Canal Studios complex Suite 135 (in the same building as Rojo’s Roastery and Roxy Ballet). Free parking is available on the street, in the parking lot behind the Canal Studios, or in the adjacent lot. To access the studios, you can enter the building through a rear door in the back lot or from the front sidewalk entrance by Liberty Hall Pizza. If accessing us from the front of the building, please use the doors on the left once in the lobby to access the rear hallway, which is where we are located.